Love is precious. But our hearts still get broken occasionally. This piece celebrates both the fragility of romance and the strength of life. 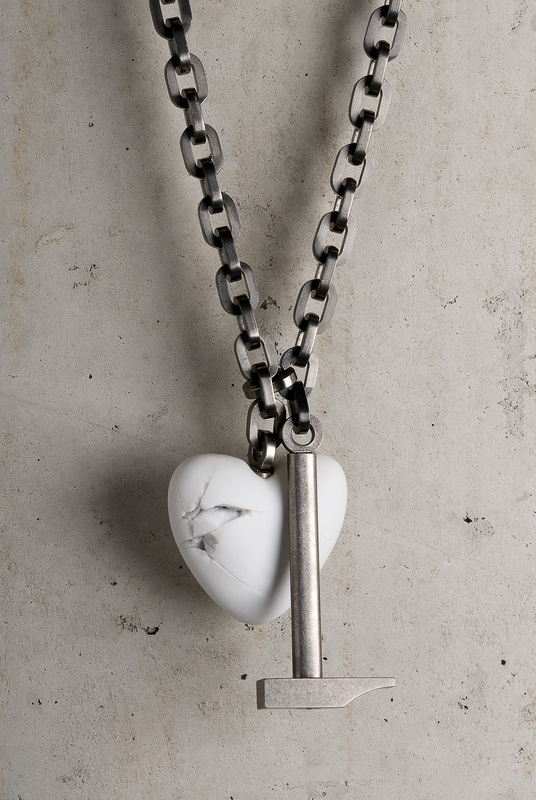 Heartbreak consists of a fragile porcelain heart and light yet strong titanium hammer, both made inseparable by a titanium chain. When broken, the heart will show cracks, yet it will never fall apart. Indeed, as one can recover from a broken heart, these small cracks will guide us in the future. This is due to a special coating of rubber inside the heart. Heartbreak is from Tjep.’s highly acclaimed breakable porcelain series, together with Do Break and Shock Proof, however it is the only piece from this collection available for purchase.